There is no “late” time to start your orthodontic treatment but there is an optimal time. To get the best results at the lowest cost, orthodontic treatment should start as soon as problems become evident—by the age of seven at the latest—according to the American Association of Orthodontists. While treatment is not always a necessity at this age, a professional can assess the situation and recommend treatment to achieve the best result. How will someone benefit from early evaluation? 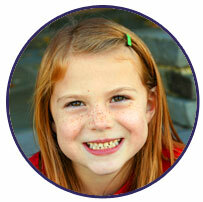 Orthodontic evaluation early on will help to spot any problems and lessen their severity. It helps to make sure the development of the teeth and jaws is normal for the age of the patient. Intervention and treatment may not be needed at the time but a professional will be able to monitor the development so treatment can start at the appropriate time. What is so special about age seven? By seven years old, the adult molars are starting to push through, which helps to develop that back bite. This allows an orthodontist to check the relationships between the teeth. The Drs. DeDomenico can check for an overbite, crowding, eruption sequence, gummy smiles, open bites or any other tooth problems. It improves the chances of a pearly white, beautiful smile. Why is interceptive treatment so beneficial? Cut the time needed for patients to wear braces. Orthodontics is not just for aesthetic purposes. It also helps to improve malocclusions—bad bites. This is when the jaw or teeth are misaligned and affects the ability to clean your teeth, chew food and can even affect your smile and your self esteem. What happens if malocclusions are left untreated? According to the American Association of Orthodontist’s studies, untreated malocclusions can cause several problems. When left untreated, it makes it harder to clean the teeth adequately and floss. This may lead to gum disease and tooth decay. It can also cause chipping due to protruding teeth and the teeth may wear unevenly due to cross bites. Open bites are another issue, which may cause speech impediments due to tongue-thrusting. If you feel good about your smile, you gain self-confidence. We truly are devoted to changing lives – One Smile at a Time!